LBKA’s Little Lion’s encompass our 4-6 year old students. This age group also has its own belt grading system. The Benefits of Little Lions. Respect for other people and property is learned through the instructors but must be supported by the young student’s parents. Always accepting that there are people of a higher authority. These people must be respected for their knowledge, wisdom and skills. This virtue is learned quickly. Camaraderie amongst the students is an important aspect of their development. Knowing that they share a common interest and goal. The ‘goal’ being their personal development. This is very closely linked with their ‘social ability’ and confidence. Discipline is achieved through dedication and learning to respect others. Focusing on practicing Kata helps children develop this virtue. Staying focused on getting the job done without being distracted by others is a skill we help the student develop. Fun is something we all want and need, especially children. The instructors and students always share a good laugh. 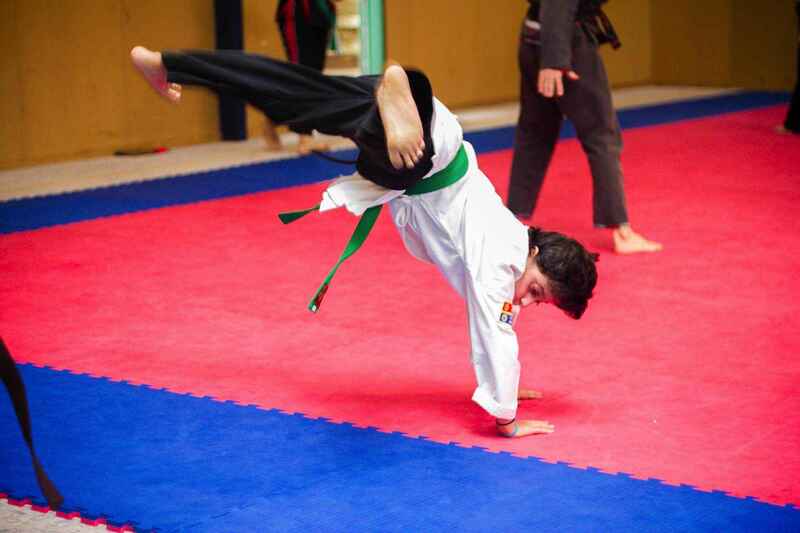 Instructors organise games centred on developing basic martial arts skills, agility, balance and very importantly, fairness. Being able to follow rules contributes largely to life skills in general.